Chosen for his quick filming and average work, Higurashi is approached to be the Director for a horror film to open a brand new TV Channel. The pitch given to him is that the film must be a Zombie film 30 minutes long, but all shot in one take, live on TV in real time. A daunting task for any director, too gutless to say no, Higurashi takes the job. With a low budget, a challenging cast and major difficulties before filming, Higurashi faces even more obstacles when the camera starts rolling, thankfully though his daughter is following in his directing footsteps. Before even hitting the play button, I have seen so many positive reviews and praise towards this film. So my expectations were very high going in. The biggest shock was that it got a 100% recommendation from Rotten Tomatoes! That is such a high standard to be given to a film that had a small budget of just $27,000. This film began with Higurashi in the midst of directing this horror film for TV. Half an hour later and the credits start rolling, it goes back to a month before it was being shot. Showing us how the film was pitched, the first cast readings of the script and finally getting to the film location. Having already seen the final product, we see next how it was made from the other side of the camera. How the runners were doing their jobs, the hiccups that happened during the live filming and everything that happened off set. It is a little bit confusing when you sit back and think about it. Ultimately we are watching a ‘film’ within a film, and a recap of how the cast and production team was formed. Only to then see how it all happened live on TV in the ‘film’. The ending credits are the best however, as it shows how the first half and hour of this movie was shot. Higurashi’s character was played off as a pushover, well known for his ‘average’ work, his catchphrase is even ‘I’m fast, cheap but average.’ Not exactly the most positive tagline out there. Forced to step up and act within his own film, he throws himself into the role and manages to take out some of his frustrations on the cast. 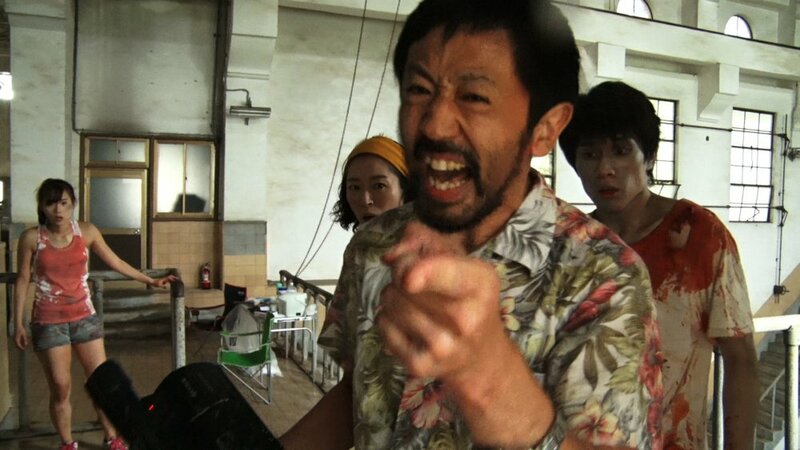 The most surprising performance though was from his wife, Harumi, who stepped in to cover the role of Make Up Artist. She threw herself into the role so much, she lost herself mid character. Resulting in some improvised scenes during filming and some take down moves. Mao is Higurashi’s daughter and is following the same career path as her father, but due to her personality, she clashes with every crew she gets work with. She ultimately has a keen eye for detail and isn’t afraid to put her foot down, making her more of a demanding director than her father. Each character played a perfect role in the film, from the drunk actor, the snob, a cameraman with digestion issues and an actress who can not follow direction. This film is very capable of pulling you into the story. With not only the script, but with the camera work. Filmed all on a handheld camera for the first 30 minutes, it added to the horror and action. The zombies were quite good when it came to appearance, and was an eye opener later in the film when we see how the ‘TV film’ was choreographed. Certainly the best performance has to come from Harumi, as she completely went off script and out of control when she lost herself mid character. It looked as though she was really going to commit murder at times. 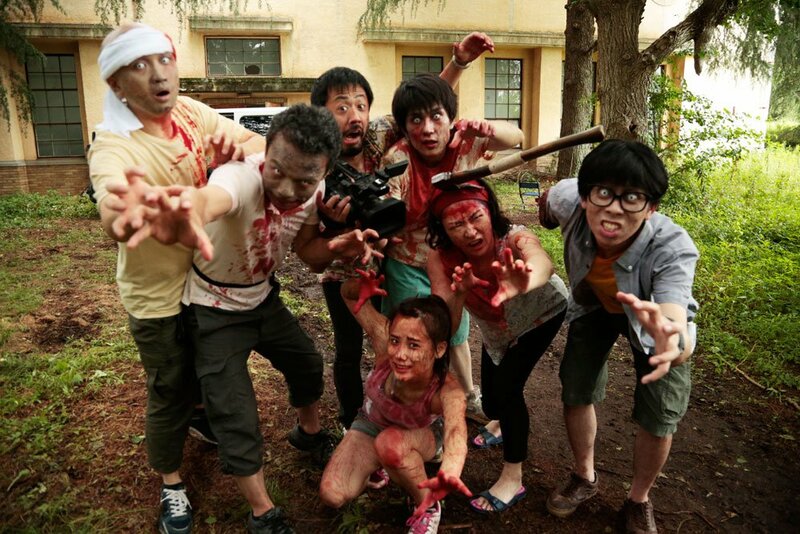 I can completely understand how One Cut Of The Dead received so many awards and praise from around the World. It is certainly an incredible film from start o finish. The most remarkable thing about this film is that the cast is filled with all unknown actors, that have yet to be discovered. 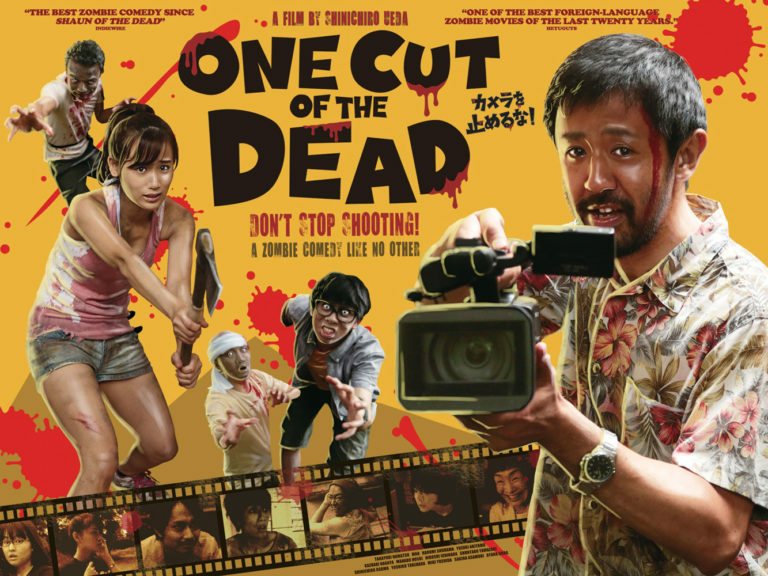 One Cut Of The Dead was made in eight days after director Shinichiro Ueda participated in workshops for actors and filmmakers at the Enbu Seminar drama school in Tokyo. What an incredible achievement to have produced this film in short a short amount of time. Having only first opened on two screens in Japan, after gaining attention from being nominated for awards and gaining support from outside Japan, the film has since grossed over 1000 times its budget making it a phenomenal success! It is a film that is certainly worth buying, and Third Window Films will be releasing it on January the 28th! So go out and pre-order it!